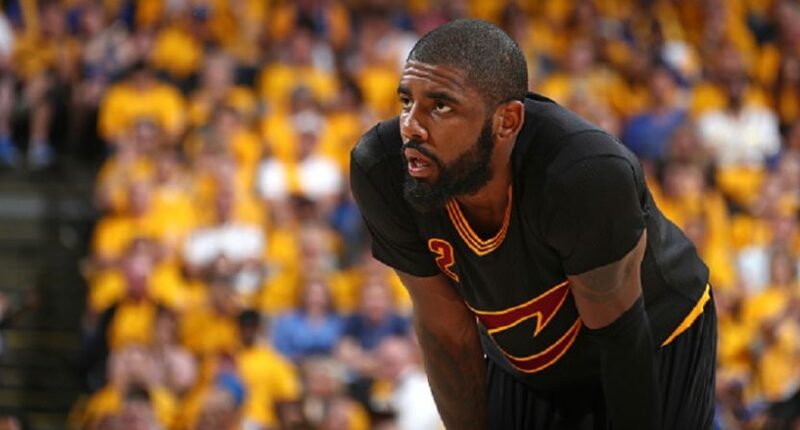 In the wake of his blockbuster trade to the Boston Celtics, you could easily be forgiven for forgetting that Kyrie Irving is a flat earth truther. In spite of every single piece of scientific evidence proving the earth is indeed round, Irving stuck by his comments that everyone initially assumed were a joke. The more Irving danced around the topic and the more he invited debate, the more serious it seemed he was. Then as the story went away without Kyrie admitting it was a joke, people started to assume that Irving really actually honestly somehow someway believed the earth was flat. Apparently it was all a ruse. A joke. A troll job. At least that’s what popular Boston sports talk show Toucher and Rich says. They’re promoting the reveal of Irving’s real thoughts about the shape of our terrestrial planet in an interview on Tuesday morning. At All-Star Weekend, Irving doubled down on the flat earth comments by going back and forth with a reporter about it. Well, at least he didn’t come out and deny it. Instead, Irving continued to play up the comments by talking about his bemusement that it became a story and remaining ambiguous about whether or not he actually believed it. Irving’s statements about a flat earth led to others coming out with their own skepticism about the spherical nature of our planet. Everyone from Shaq to WWE superstar A.J Styles weighed in. It led to a cultural renaissance for flat earth societies everywhere that came about 2500 years past their prime. If Irving really was trolling, my word did he commit to the act for a loooooong time. I’m not sure I’d like to exist for several months as a well-known public figure who thinks the earth is flat in spite of centuries of physical scientific evidence to the contrary. So why did he do it? Was it to prove a point about the importance of scientific theory? A meta commentary on what passes as viral news these days and what the media is willing to report and believe? Finding out how stupid people can be to believe that the earth is actually flat just because a basketball player said so for his own personal entertainment? Of all the things to troll the world about, you wouldn’t think a flat earth would be one of them, but I suppose stranger things have happened in the last twelve months. Whatever the case, our long, national saga looks like it’s coming to an end and we can move on to the really important debates like how NASA faked the moon landing.